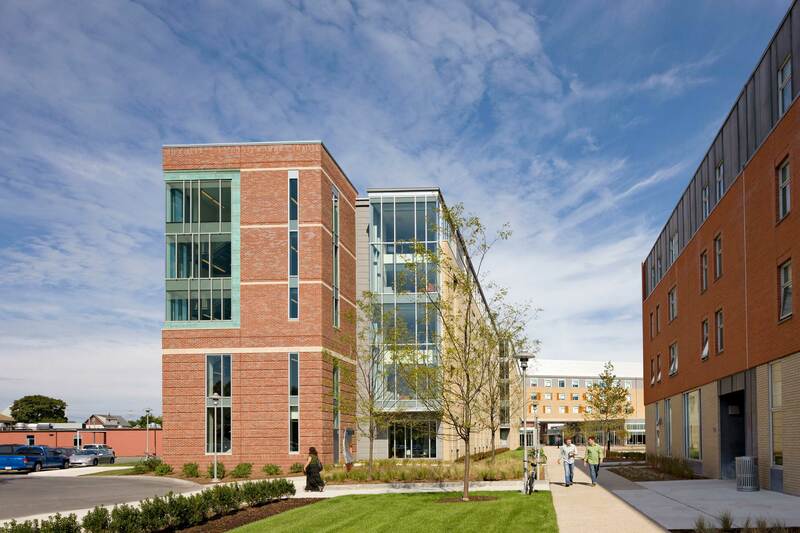 To keep pace with growth, Salem State University requested a new undergraduate residence hall and commons be built on their lower campus. 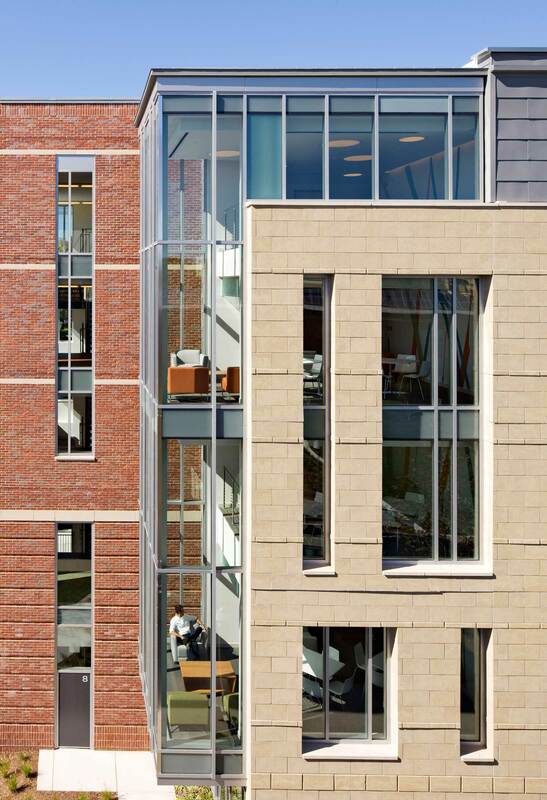 To best meet their delivery, schedule, and budget, DiMella Shaffer teamed with Walsh Brothers for Construction Management services. 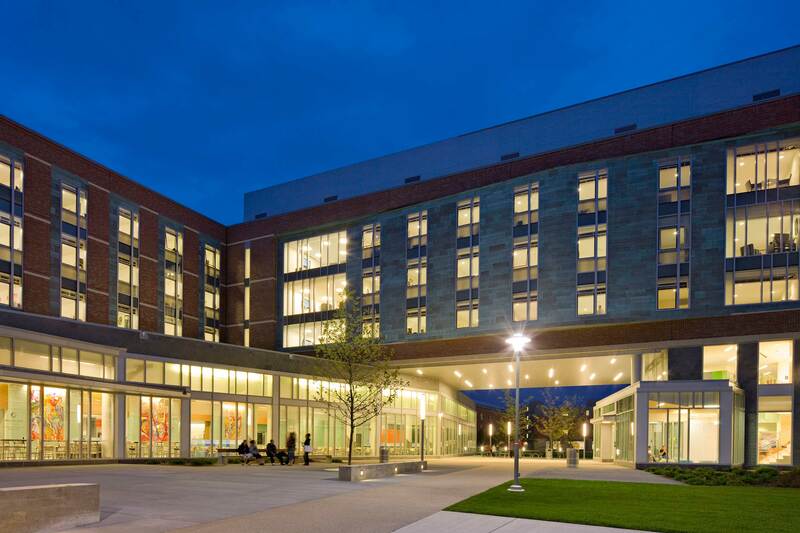 The new residence hall contains 535 sophomore beds, allowing the University to guarantee two years of housing to incoming freshmen. 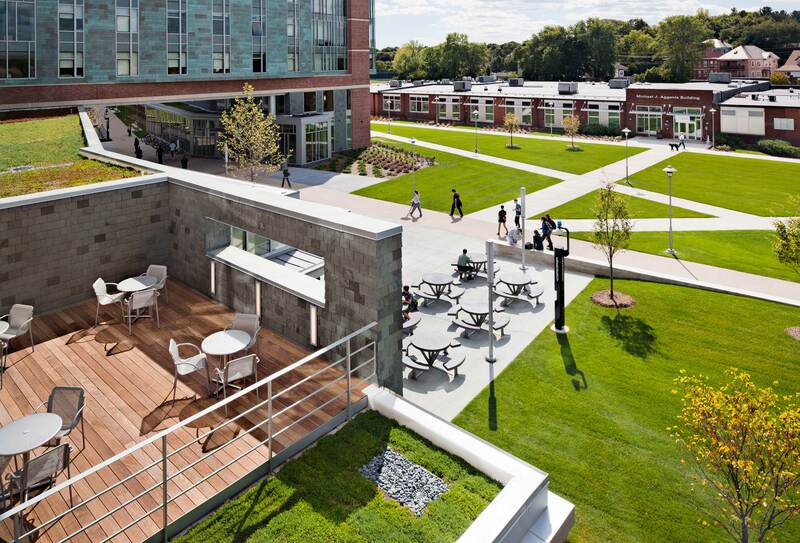 The building is composed of a five-story south wing and has three levels of student accommodations in the north wing. 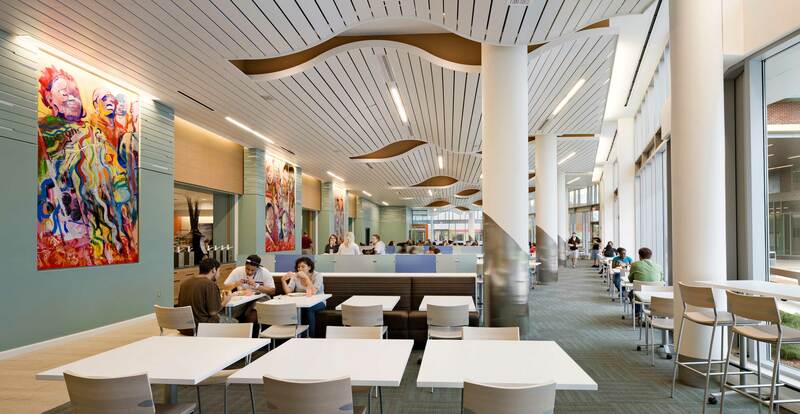 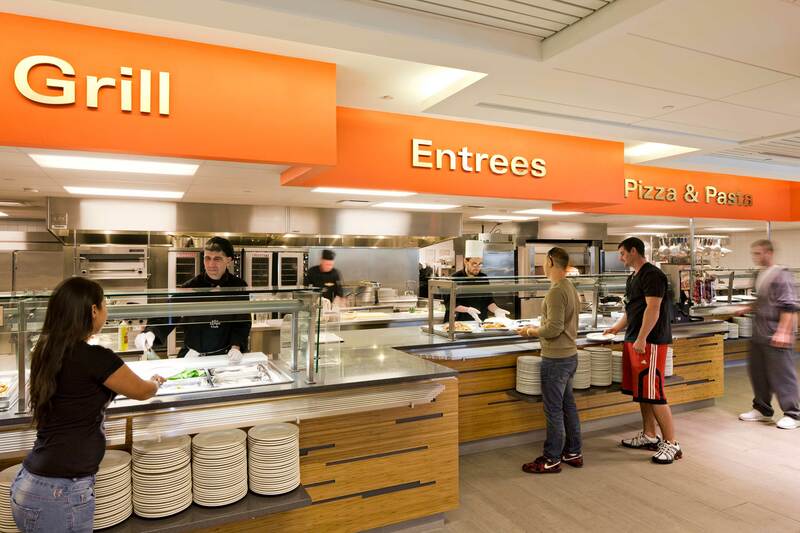 A 320-seat dining hall is located on the ground floor of the north wing, and is supplemented by a convenience store. 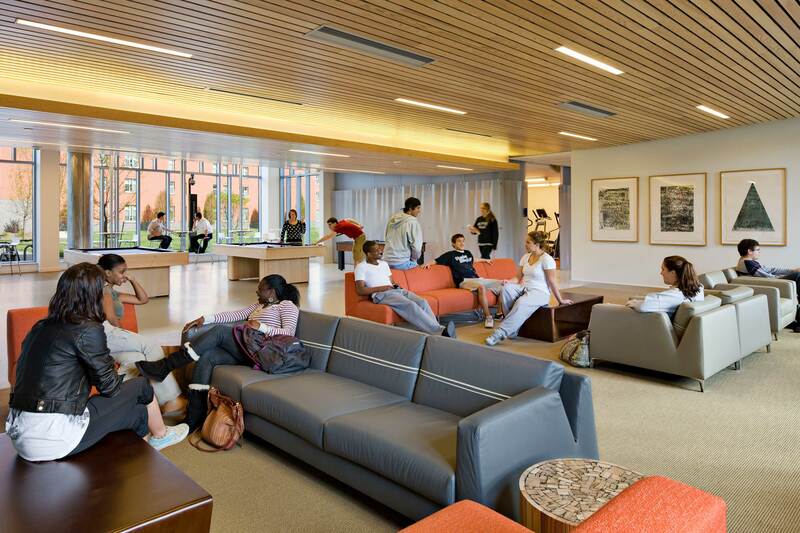 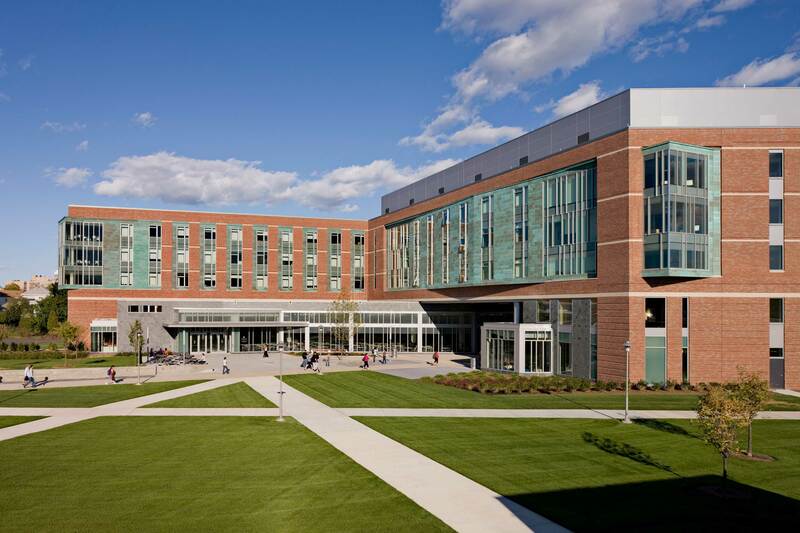 The public functions include a conference center and faculty apartments, and are located on the first and second floor of the north building, oriented towards the Bertolon School of Business and a future link to the North Campus. 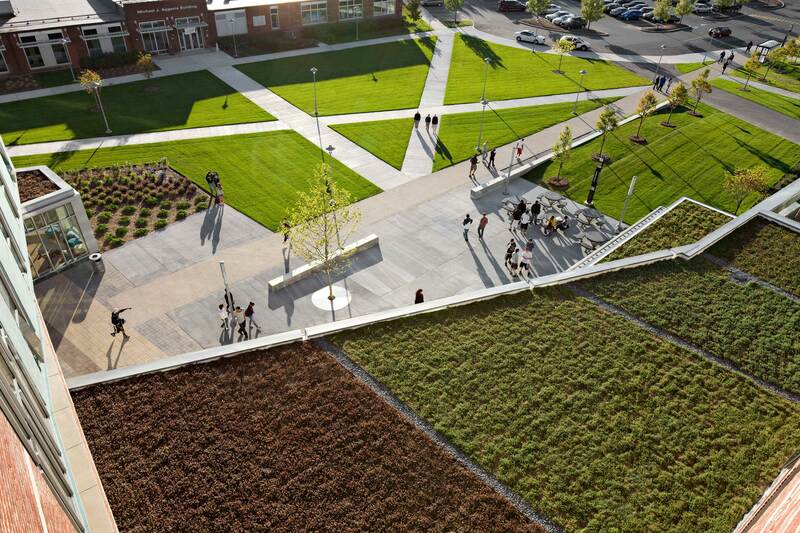 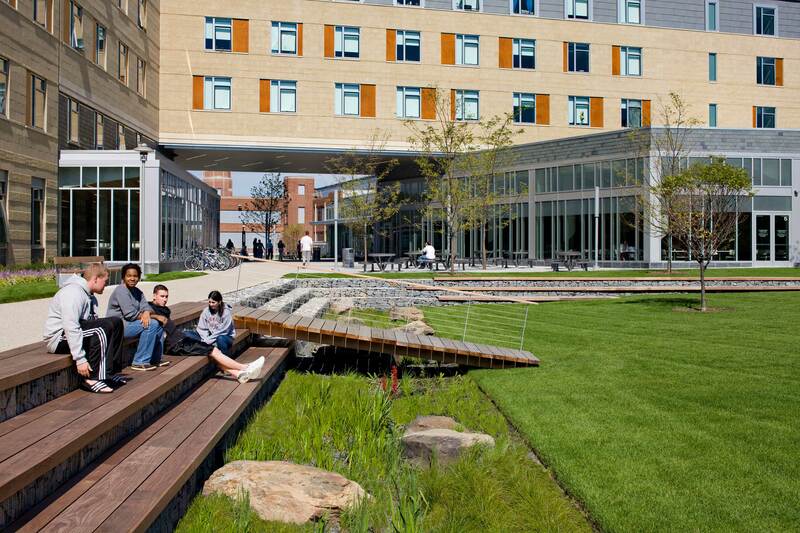 The finished residence hall received LEED Gold certification by including sustainable design elements such as a green roof, bio-swales, solar thermal hot water and a fan-free Valance cooling/ heating system.